Your favorite camo in insulated, hunt-ready Mittens. 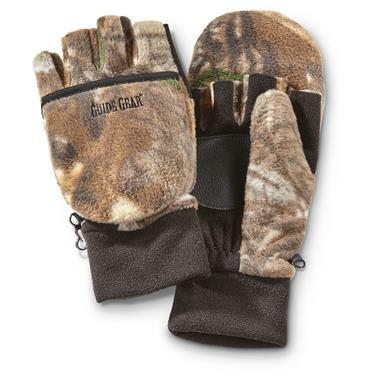 Keep the top up for warm hands while waiting up in the stand or walking through the woods to your secret hunting spot. And when it's time to use your gun or bow, pop the tops down to expose your fingers. Or text the wife that you'll be late, program your trail cam, or take a selfie with your new trophy! 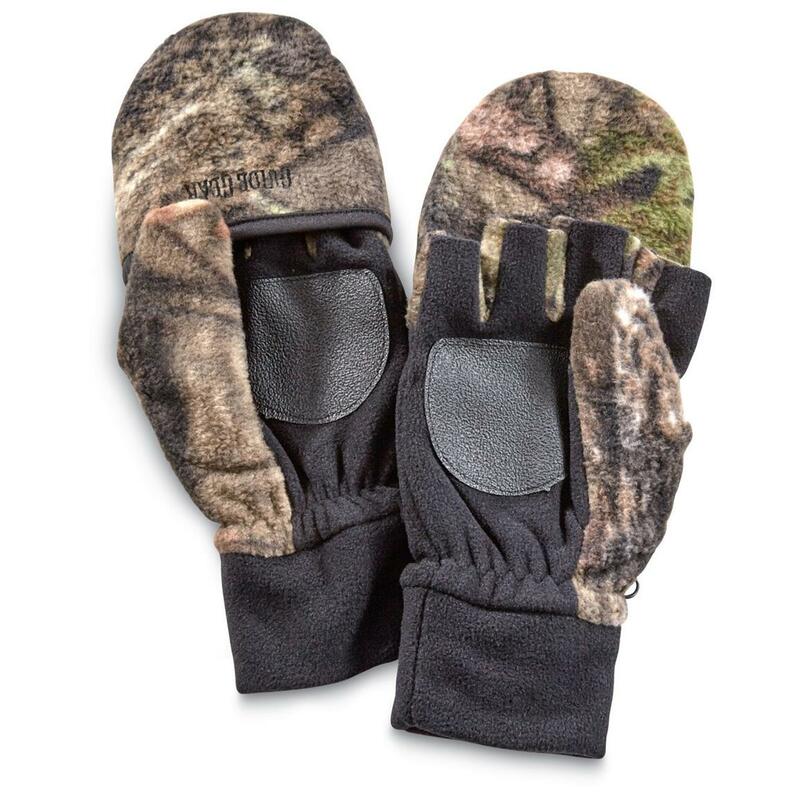 Now you can keep your hands warm while still having your fingers ready for whatever the hunt calls for. Imported. Gloves and Mittens, combined! Order right here!